Facebook is currently the most often used social network for small businesses looking to boost their marketing through social media. Interestingly there are really no specific numbers when it comes to figuring out how many small businesses are on Facebook, but some estimates put it at around 54% (which would make that about 15 million). 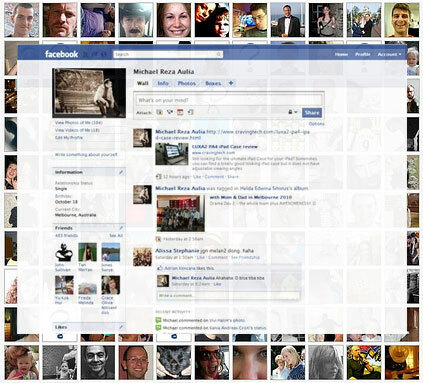 Whatâ€™s unfortunate, however, are the high numbers of small businesses with Facebook profiles instead of pages. As in the first statistic, thereâ€™s really no way to figure out this number, but I know through observation that in my own small town of Las Cruces, NM, I probably see 2 out of every 5 businesses with profiles instead of pages. Itâ€™s not hard to see why this happens. Many business owners are confused about using social media in the first place, and for those who donâ€™t use technology on a daily basis Facebook might seem pretty complicated. Most probably donâ€™t know about the long list of differences between profiles and pages anyway. But, the fact is, pages are for businesses and professional use, profiles are for the personal. So whatâ€™s a small business owner to do when he or she has spent a ton of time developing relationships on a Facebook profile, and they want to shift to a page instead? I went through this with a Congressman I was consulting for in 2011. He had reached his peak 5000 friends on his personal profile and had realized the need to migrate them to the page, so we had to develop strategies to do just that. The following four (in order) is what we went through. 1. Ask them politely to move: The most obvious tacticâ€”simply ask your friends to move over to your Facebook page. Some will go immediately, but others will need more convincing. 2. Tell them all about the fun youâ€™re having on the page: As you post content to your page, let your friends on your personal profile know that youâ€™ve posted something great and wonderful so theyâ€™ll be tempted to go find out about it for themselves. 3. Bribe them: One of the nice things about pages in the first place is that they allow you to create and spread coupons and incentives. Use this feature. Give 10% off to each friend who becomes your fan, or create give-aways or other incentives to bring them over. 4. Freeze them out: After a certain period youâ€™ll find that all but a few will finally make the transition. For those who donâ€™t, you need to try to somehow unseat them from the profile. First, let them know that you are going to be deactivating the profile (which you should do anyway) by a certain date. Continue reminding them right up until the point when you really to deactivate the page. At the same time, stop talking to themp--stop posting updates, pictures, videos, everything (with the exception of the reminders). You wonâ€™t get all of them to make the changeâ€”at least Iâ€™ve never seen it happen. But you will get a majority of them. Unfortunately it means that there will be some building to do. But, fortunately youâ€™ll have less work than someone starting from scratch. Pinterestâ€™s use by small businesses has exploded in the past six months, and itâ€™s no wonder, with 21 million unique visitors every month when last reported. Obviously, marketing through Pinterest is a great idea for businesses with very visually-based products and services. However, there are a few things that businesses need to be aware of when using Pinterest, especially as they deal with what they are pinning to their boards. After all, if the point is to gain followers and people interested in your brand, what you pin will (hopefully) be repinned by those followers. So what should businesses and brands pin on Pinterest? Most blogs and articles will tell you simply to pin the visual, the pretty, the attractive that has to do with what your business or brand is concerned with. This is true to a point. But, my advice is to focus only on your own contentâ€”the images, posts and other social object you are the sole creator for. Copyright laws have been loosely regulated on the internet, and itâ€™s traditionally been up to the user to regulate his or her own content. There are some exceptions, of course. YouTube for example is heavily concerned with the content people post on it, especially when it comes to copyrighted music and video. But other platforms are not as enthusiastic. 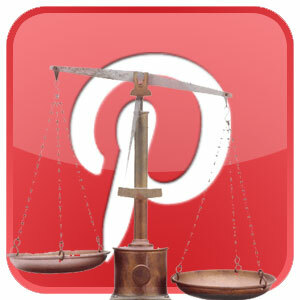 Enter Pinterest, a platform that explicitly allows people to grab other peopleâ€™s content to share with the world. Not illegal, per se, unless that content 1. copyrighted, 2. the content is shared without authorization, and 3., the copyright holder finds it and sues. Again, it used to not matter so much, because there was so little attention paid. However, with the highly visible platforms that get so much useâ€”like YouTube and now Pinterestâ€”rest assured that copyright holders will begin to pay attention. So as a business or brand using Pinterest my advice to you is to share only your own content. Take the pictures yourself, or use pictures taken by customers that youâ€™ve specifically gained permission to use. If you donâ€™t have any of your own content, this is as good a time as any to start making it! Most any small business owner whoâ€™s had a website for even a brief period of time understands the importance of ranking highly in search engine results, but few understand just how important it really is. A 2010 study by the Kelsey Group found that 90% of people who are researching a local business, product or service use internet search engines, meaning that if they canâ€™t find you online thereâ€™s a good chance they wonâ€™t walk through your door. But itâ€™s not enough just to be included in the results of somebodyâ€™s search query. You must also rank high enough to get noticed. According to one study, 68% of people who conduct a search on Google never go past the first page of returned results, and 98% donâ€™t make it past the third page. If thatâ€™s not enough to demonstrate how important it is then consider this: a case study by online marketing trainer, Aaron Wall demonstrated that while the #5 resulting business reported on a specific search query received 6,000 unique visits during the month, the #1 business listed in the results received 50,000 visits! Clearly, rising to the top of search engine query results can mean a staggering amount in terms of revenue. So how can you raise the status of your businessâ€™ website in the results of local search queries for your business, brand or product? The answer involves a very complex science known as Search Engine Optimization, and while I wonâ€™t go into the boring minutia, Iâ€™ll share with you four easy and quick ways to help you make it into the results of a search and perhaps even raise you up a few notches. First, focus on the keywords you use throughout the site. When people search for services or products they typically donâ€™t use single words, but combinations of them. If the pages on your site are lacking these key phrases or combination of key words, there is a pretty good chance you wonâ€™t show up in the results of a query. Further, make sure the words you use to describe your goods or services are the terms other people use for those goods and services. If someone is looking for â€œBook Keeperâ€ for example, simply having the term â€œAccountantâ€ on your site may mean youâ€™re either missed completely or ranked so far down in the results youâ€™re never found. Insert keywords throughout your site, labeling images, pages, videos and anything else you can think of to ensure nothing is missed. If youâ€™re wondering about what key words or key phrases to use, you can find various online platforms that list commonly searched for terms as well as their synonyms. Google even has a tool for this called the Google Keyword Tool. Next, create new content as often as you can. Search engines rank fresh content higher than content that is static, and they rank sites with a lot of fresh content higher than sites that were set up once and then never changed. As often as you canâ€”perhaps once a week or moreâ€”create new content for your site. That new content can be new images or, better yet, new articles about your products and services. Tie this strategy in with the first and ensure that the content includes the primary key words or key phrases used in search queries about your product. This will rank you even more significantly when local searches are conducted on your subject. The third step you can take is to make sure youâ€™ve included your site in all of the appropriate directories. This is a pretty obvious step, but one that many small business owners overlook. The first set of directories is the various â€œlocalâ€ pages that search engines feature. Though youâ€™re sure to be included in local search directories, like Yahoo! Local and Googleâ€™s local results, you can add information to these that will make you stand out. Add images and information about your business, and get customers to provide feedback and ratings about your business (preferably favorable). Lastly, you should make sure you go social. Iâ€™ve beat this drum time and again, because I believe social media really is the next frontier of marketing. But for the purposes of search engine optimization, it can also get you ranked higher. Most search engines are now indexing social media networks as well, so not only are they looking for your presence on Facebook or Twitter, but theyâ€™re also looking at the conversations youâ€™ve had, or that others have had about you. There are countless strategies that businesses can use to get ranked higher in search engine query results, and not all of them are as effective as others. The methods used here are sure to get you bumped up a couple of notches in time. And that could be the difference in 6,000 visitors or 50,000. Facebook is currently the most popular social media network in use by small businesses in the United States. According to research by various organizations, anywhere between 50-70% of small businesses (thatâ€™s between 14-18 million) currently have Facebook pages. And each one is vying for the attention of about 180 million U.S.-based users purported to be active on Facebook every day. But if the business succeeds in getting a userâ€™s attention, and the user does â€œLikeâ€ them, then what? What does that actually mean to a business? Letâ€™s phrase that another way. In understanding the return on investment (ROI) of getting a Facebook fan, we need to think in terms of value or worth of that fan. So, how much is each Facebook fan worth to a business? Itâ€™s doubtful that many small business owners consider this question. Rather, the number of Likes on a businessâ€™ Facebook page has almost uniformly become the measure of success for its social media marketing campaign. But so what if your business has 1000 Likes and your competitor has 100? Is that the important part? According to two studies, one conducted in 2011 and the other more recent, itâ€™s not about the number but the quality of Likes that matters. Whatâ€™s more, this quality can be measured in terms of real dollars. The first study by the social media marketing firm Symantic (which supports the social media efforts of such companies as Nike and Samsung) suggests that the value of each of your Facebook Likes is worth $136.00 per year above the value of customers who donâ€™t â€œLikeâ€ your page. This would seem great news, especially if you were to collect 1000 fans, right? But the caveat of that study is that the fans of your page must be quality fans. They must interact and engage with your business and your posts. This makes them more likely to refer friends to you, stay loyal to your brand, and buy from you more often. Without this interaction or engagement, these fans are worth very little. The second, more recent study (this time by the marketing firm, Imbue), places value on each of these individual interactions and engagements and not the fans themselves. According to their research, it is worth $8.00 every time a Facebook fan Likes a post or update. The most valuable engagement comes when people share your post with their friends, an engagement worth $14.00 per occurrence. Without these interactions, the fans are not valued at all. So what can you do to create this engagement and ultimately give your fans value? Start by giving them something to engage withâ€”and thatâ€™s certainly not advertisements. Share news with them, funny stories, inside information, tips or tricksâ€”anything but advertising. Second, you must interact with them as well. If they post a comment, tell them thanks. You donâ€™t know how often I see Facebook pages in which customers ask questions that go unansweredâ€”BIG mistake. Lastly, remember that people are on social media networks to be educated or entertained, not to be marketed to. Take a purely hands-off approach and give your fans something worthwhile for making the decision to â€œLikeâ€ you. Thereâ€™s no secret formula for successfully marketing with social media, and it is far from an exact science. But, by remembering the â€œsocialâ€ in social media, and approaching it from that direction, will certainly make your fansâ€™ experience more valuable, which will in turn make them valuable to you. I see it all the time: small business owners who are frustrated that the social media network theyâ€™ve been trying for a few months hasnâ€™t really grown or helped them, and so they give up digital marketing altogether. Yet, when I speak to them personally about it, it turns out they did little more than set up a Facebook page (hopefully not a Facebook profile), a Twitter username, or a LinkedIn account. Then they sent out a few postsâ€”advertising their brand or productsâ€”and waited for users to find them. Guess what? It doesnâ€™t work that way. In past articles Iâ€™ve covered what to post (and itâ€™s not advertisements), but now I want to talk about the â€œwaiting for usersâ€ problem I see all the time. The fact is, approximately 48% of small businesses have some type of presence on Facebook. Considering there were 27.5 million small businesses in the US in 2009, there has to be well over 13 million small businesses with presences on Facebook today. And they are all competing for the usersâ€™ attention. Think about it this way, about half of all businesses in Las Cruces and El Paso are on Facebook. If you have any local competitors, they are sure to be there too. You are both, then, competing for the almost 400,000 users in the area. How do you get them to notice you and not your competition? There are a few things you can do, but the most important thing to remember is to not simply wait for people to find you. You have to be proactive and help them find you. First of all, put your Facebook address and other usernames on absolutely everything you can, online and off. This seems so simple it almost hurts to state it. If you donâ€™t let customers know that you are on these channels, how do you expect them to find you? Put it on your menu, your receipts, your business cards, your letterhead, your billboards, your print and TV adsâ€”everywhere! Next, integrate offline promotions with online platforms. Use new technologiesâ€”like QR Codes (those square bar-codes that consumers scan with their smart phones)â€”to power promotions that are based online. You can, for example, put a QR code somewhere in your business, and then announce on Foursquare, Facebook, Twitter or elsewhere that by scanning that code and showing it to an employee the customer will get a coupon or other payoff. Then ask customers to look you up on these platforms when you interact with them in person (again, such a simple concept that so few actually follow). Whenever you interact with customers, let them know verbally that you are on the platform you most often use. Let them also know what they will get out of connecting with you on that platformâ€”special deals, coupons, etc. Finally ask them to look you up and connect with you on the platform when they get the chance. Finally, make the promotion of social media an objective of offline traditional media marketing. From printed newspaper ads, to television spots and billboards, you should creatively integrate your usernames and addresses of the various platforms. Whatâ€™s more, you should actually make your social media platforms the point of these ads. After all, if through traditional advertising you are given permission to engage with someone online and keep your brand in front of them, youâ€™ve been given the chance to create a loyal, perhaps life-long customer. Social media is one of the most effective forms of communication to come along since perhaps the television, but understanding how to use it is the key to a small businessesâ€™ success. Unlike television-based marketing campaigns social media marketing campaigns never end, and so your promotion of your social media should be never ending as well.